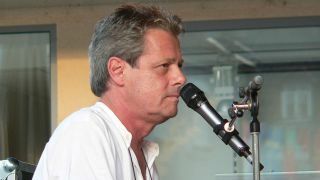 Vocalist and pianist Eddie Hardin, best known for his work with Spencer Davis Group and Axis Point, has died at the age of 66. He also collaborated with a wide range of rock artists including Ronnie James Dio and several members of Deep Purple. His partner Liz says he suffered a heart attack yesterday (July 23) while relaxing in a swimming pool. A post on Hardin’s website reports: “He first came to prominence with Spencer Davis Group, before quitting – and later returning – with drummer Pete York, to work as Hardin & York for years. “Then there was Axis Point, with former Family members, and a string of brilliant solo albums. The Wizard’s Convention trilogy, with guest singers including David Coverdale and Glenn Hughes, stands out. “Nobody but Eddie could pull out two beautiful animal concepts – The Butterfly Ball And The Grasshopper’s Feast, and Wind In The Willows.